A pencil magically sticks to your hand. A pencil (a ruler, table knife, or magic wand will work well too). 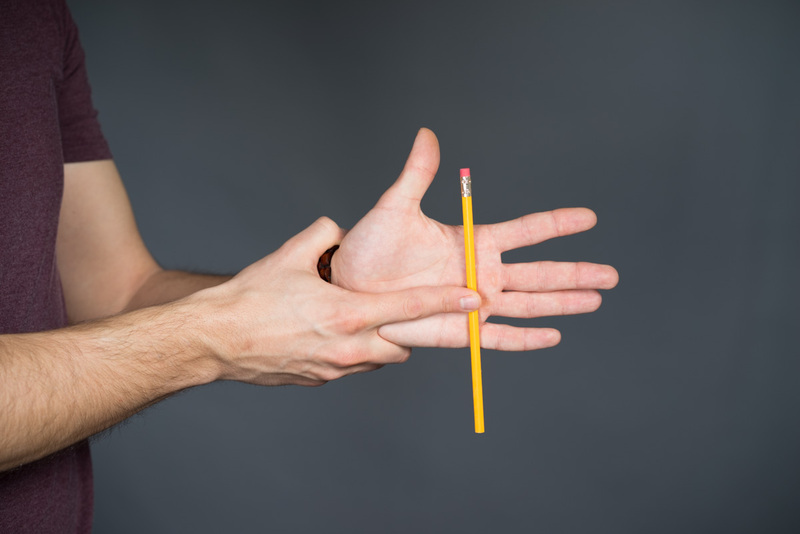 “I have discovered a way to make this pencil do amazing things – using static electricity!” To go along with the story that you tell your audience, you rub the pencil between your hands to create a static charge. Show only the back of your hand to the audience. You can now shake your hand up and down and the pencil will not loosen. 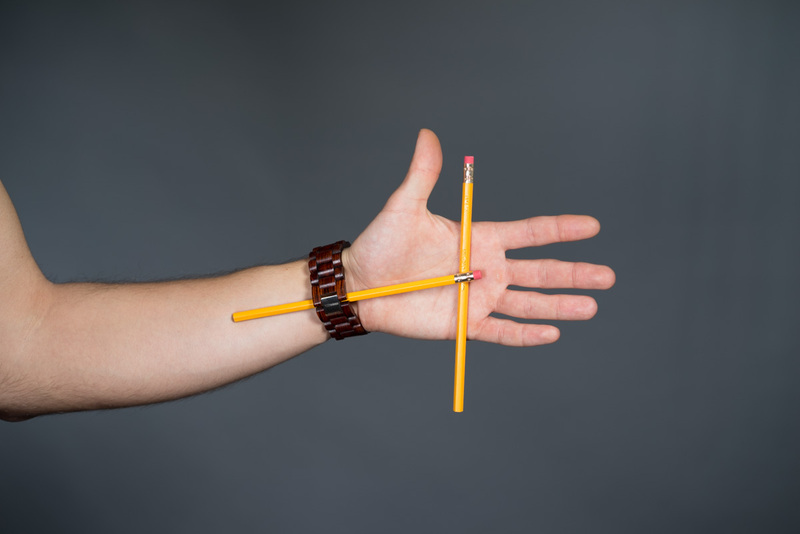 A pencil magically sticks to your hand – without having to grab your wrist. (This version is good to know if someone in your audience knows the ‘finger method’). A watch or elastic band around your wrist. 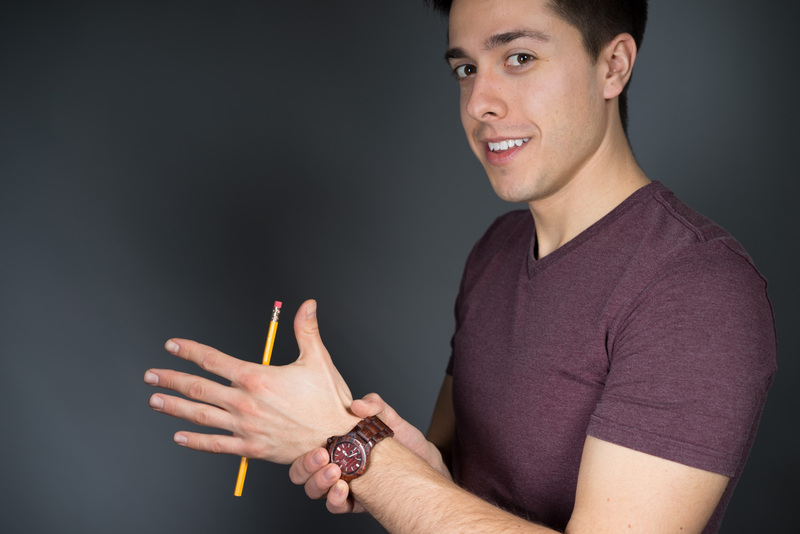 Place the extra pencil under your watch on the inside of your arm. The pencil should extend well into your hand. You can use the same storyline as in the first version. 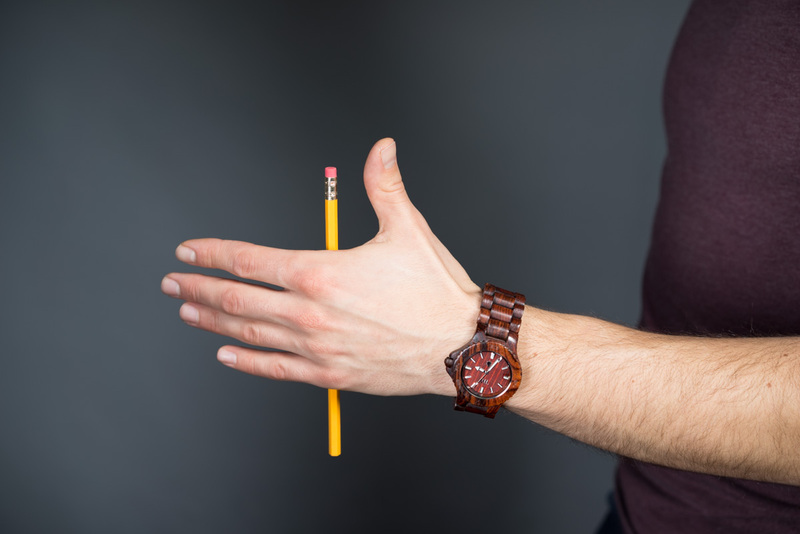 Instead of using your finger to press the pencil against your palm, you will use the item extending from under your watch. Slide the pencil under the item extending from your watch. The pencil will ‘stick’ to your hand as if by real magic!